Chicago Blackhawks goaltender Corey Crawford said he plans to start Thursday's game against the Arizona Coyotes, which would mark his first contest in nearly 10 months. Crawford hasn't been in the net since suffering a concussion on Dec. 23. The 33-year-old said his starting status will become official once he makes it through Thursday's morning skate. "It feels good to be back to myself," Crawford told reporters after Wednesday's practice. "I'm feeling clear." Crawford was still dealing with some of the effects of the concussion during training camp. He played in just 28 games last season when he went 16-9-2 with a 2.27 goals-against average. He was placed on injured reserve on Dec. 27, four days after the concussion. 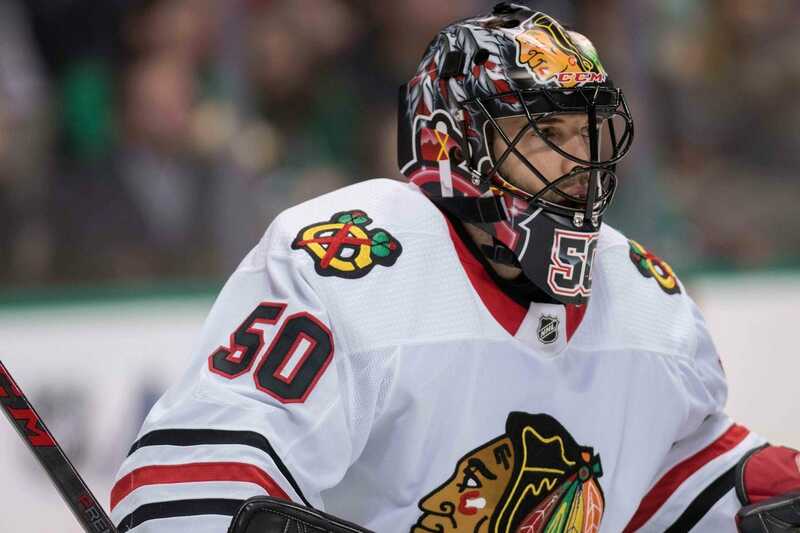 The recovery period was lengthy for Crawford as he continued to battle symptoms throughout the rest of last season and through the entire summer. "I think the whole time the organization did a great job of not trying to rush him back," star forward Patrick Kane told reporters. The Blackhawks are 3-0-2 through five games, but replacement Cam Ward has struggled with a 4.07 GAA and .879 save percentage. Chicago has gone to overtime in each of its first five games to set an NHL record.